It’s both cool and a little silly to hear the name “Alfred” come out of Ben Affleck’s mouth, but the brief moments we’ve seen between our new Batman and Jeremy Irons’ Alfred have been one of the highlights of the trailers and TV spots for Batman v Superman: Dawn of Justice. The latest spot opens with Bruce Wayne and his most trusted friend bantering about the Dark Knight’s age, though that does not stop him from taking on the Man of Steel later on. Zack Snyder’s Batman is getting too old for this s—, at least according to the chat between Bruce and Alfred, anyway. The new TV spot is brief, and shows off the “Here I am” moment when a heavily armored Dark Knight confronts Henry Cavill’s Man of Steel in the rain (romantic!). That moment has been featured quite a bit in recent previews, and while it looks good, I remain skeptical of Affleck’s Bat-voice, which sounds like it’s being pumped out of a black metal tuna can. Then again, we all had a period of adjustment with Christian Bale’s gruff intonations, and although we became accustomed to the sound of his vigilante voice (SWEAR TO ME), it never ceased to be entertaining. 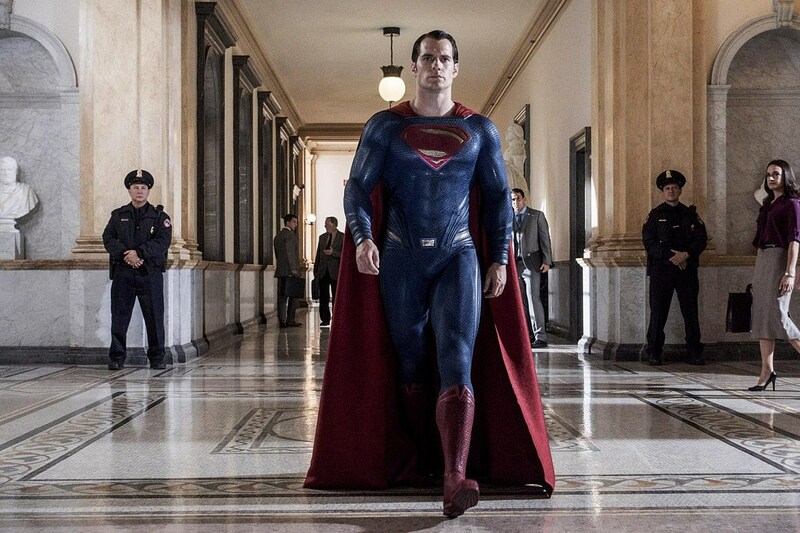 And in other Dawn of Justice news, Henry Cavill released this new look at Superman, who appears to have just arrived for his big congressional hearing. You might even say he’s standing in a…hall of justice. Snyder’s superhero epic also stars Gal Gadot as Wonder Woman, Jesse Eisenberg as Lex Luthor, and Amy Adams, Laurence Fishburne and Diane Lane reprising their Man of Steel roles. Batman v Superman: Dawn of Justice hits theaters on March 25.